EI-ETJ is an Airbus A321 that belongs to airline Kogalymavia airline. The flight was traveling from the Egyptian resort to St. Petersburg. 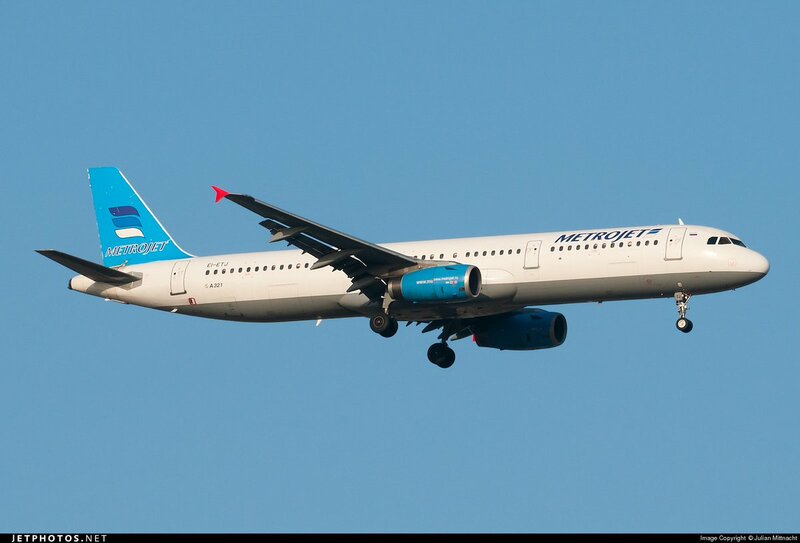 It belonged to the Kogalymavia airline, which also uses the brand name Metrojet, an operator popular among Russian tourists going to Egypt. The plane was supposed to contact air traffic in Turkish Cyprus’ Larnaca after leaving Egypt’s airspace, but failed to do so. The source said the crew of the crashed plane had complained to the airport’s technical service that the jet had engine problems.Russian plane carrying over 220 people from Egypt to Russia disappeared from radars, and crashed in central Sinai, according to Russian and Egyptian authorities. The plane was carrying 217 passengers and 7 crewmembers, he added. Seventeen of the passengers were children. According to the Russian embassy in Egypt, all on board were Russian citizens. New Delhi, October 30, 2015: Swipe Technologies, India’s leading mobile technology company, and No. 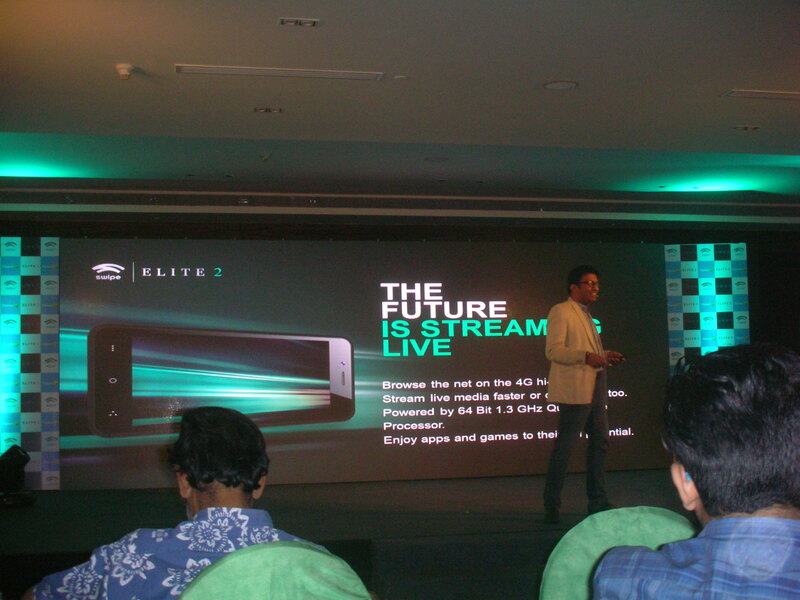 4 brand in the tablets space in the country, has announced the launch of its ONLINE-ONLY flagship smartphone ELITE 2. ELITE 2 is Swipe’s most affordable 4G device to be sold exclusively on Flipkart from 8th November 2015. The device is competitively priced at Rs 4,666 only. The company has also announced the EXCLUSIVE PREVIEW SALE of ELITE 2 for Uber customers, where in Swipe will deliver ELITE 2 directly to Uber customers in Pune, Hyderabad, Bangalore and Delhi. Swipe Technologies is an innovation-centric mobility solutions company, having started its operations in July 2012. Within a short span of time, Swipe has become the leading tablet and Smartphone maker in India. Swipe was started with an aim to bring exciting devices in the growing Indian market and today, it is the leading consumer brand with key innovations across products, pricing and customer support. Today we remember the journalists and media workers who have been killed in the line of duty. More than 700 journalists have been killed in the last decade -- one every five days -- simply for bringing news and information to the public. Many perish in the conflicts they cover so fearlessly. But all too many have been deliberately silenced for trying to report the truth. Only 7 per cent of such cases are resolved, and less than 1 crime out of 10 is even fully investigated. Such impunity deepens fear among journalists and enables Governments to get away with censorship. We must do more to combat this trend and make sure that journalists can report freely. Journalists should not have to engage in self-censorship because they fear for their life. I applaud UNESCO [United Nations Educational Scientific and Cultural Organization] for spearheading the United Nations Plan of Action on the Safety of Journalists and the Issue of Impunity -- a powerful mechanism joining the efforts of United Nations agencies, Governments, civil society, academia and the media. Together, we must end the cycle of impunity and safeguard the right of journalists to speak truth to power. Pune/Mumbai, October 29, 2015: Volkswagen Group India representatives have met Government of India – Ministry of Heavy Industries and ARAI today, on 29th October 2015 and have updated them on the evaluations so far on the ongoing emissions issue with reference to India. Since there is a complex combination of several brands, various models, different engine variants and gearboxes as well as different model years that need to be analysed, establishing detailed facts is taking a longer time. Volkswagen Group India will present its results from the evaluations by the end of November 2015. During this period, the company representatives will stay in regular touch with ARAI to keep the authorities updated on the analysis. The next steps will depend on the findings from these evaluations. Meanwhile, Volkswagen Group India would like to assure that all vehicles in the customers’ hands remain technically safe and roadworthy. New Delhi, 29th October 2015: The French Tennis Federation (FFT), organizers of the world’s premier clay court event – Roland-Garros (aka The French Open), in association with All India Tennis Association (AITA) today announced the second Indian edition of Rendez-Vous à Roland-Garros in partnership with Longines. Returning for the second consecutive year, the tournament is aimed at promoting young talents and grass-roots clay-court tennis in India. The competition will be held at newly laid clay-courts at the Delhi Lawn Tennis Association from February 8thuntil 12th 2016. The tournament will see the best U-18 Indian players (boys and girls) compete for a chance to enter the Roland-Garros Junior draw in Paris in May 2016. The winners of the Indian leg will go on to face competitors from Brazil, South Korea and China in the playoffs in Paris and the eventual champions will get a wild card entry to the French Open Junior. “India has an impressive talent pool at the junior level. The spirit and the passion of the contenders in the previous edition was very encouraging. We believe that India has what it takes to become a tennis powerhouse and that is the very reason why we are offering this unique experience to Indian players.” said Mr. Sam Primaut, FFT, Director of Development. “Better infrastructure is particularly important for development of the sport. Keeping that in mind FFT and AITA have joined hands via a Cooperation agreement signed in April 2015. As a part of this commitment, AITA will build clay courts at the Delhi Lawn Tennis Association. It will give the closest experience of playing on the iconic clay surfaces of Paris and at the same time give a major boost to the Indian players aspiring to play at the French Open or any other clay court tournaments around the world,” Mr. Primaut added. The clay court coming up at DLTA will be the first of its kind and the laying of the court is expected to roll-out in December 2015. The 2016 edition of Rendez-Vous à Roland-Garros will be the first competition to be played on it in the month of February. This will be a big advantage for the participating players, as it would condition them better for the Paris finale. Welcoming the initiative, AITA president Mr. A.K. Khanna said he hopes that such endeavours will usher in a new era for Indian tennis. The tournament will see a tough playing field with top junior players from the country lining up to earn a ticket to Paris. In the boy’s category, Vasisht Vinod Cheruku, Aryan Goveas, BR Nikshep and last year’s runner up Alex Solanki will be the top contenders. Boy’s champion from last edition Basil L. Khuma has fond memories of the tournament. “There is no better pathway to get a chance to play on best clay courts in the world. It was an experience of a lifetime in Paris and it definitely has made me a better player today,” said Khuma. Girl’s competition will be evenly poised with Zeel Desai, defending champion Sathwika Sama along with last year’s finalist Jennifer Luikham headlining the event. Both committed sports fans and the general public alike have come to love Roland-Garros. Some 463,328 spectators flocked to the highly prestigious French Open in 2015, and the tournament was also broadcast in 224 territories across the world, making it an event of truly global significance. Roland-Garros is run by the French Tennis Federation and held every year at the Porte d’Auteuil in Paris. It is the only Grand Slam to be played on clay – one of the oldest and most noble surfaces in the history of tennis. All India Tennis Association is the National Federation for development and promotion of Indian Tennis. It has a very strong and tiered junior tournament & ranking structure and a sound professional tournament structure for Men & Women. AITA also has a sound coach’s education programme and is the only recognized nation in Asia to have the ITF Silver Certification. Federal Open Market Committee (FOMC) reaffirmed its view that the current 0 to 1/4 percent target range for the federal funds rate remains appropriate and suggested that economic activity has been expanding at a moderate pace. FOMC further reiterated that household spending and business fixed investment have been increasing at solid rates in recent months, and the housing sector has improved further; however, net exports have been soft. The pace of job gains slowed and the unemployment rate held steady. Nonetheless, labor market indicators, on balance, show that underutilization of labor resources has diminished since early this year. Inflation has continued to run below the Committee’s longer-run objective, partly reflecting declines in energy prices and in prices of non-energy imports. Market-based measures of inflation compensation moved slightly lower. Further, Consistent with its goal to foster maximum employment and price stability, the Committee expects that, with appropriate policy accommodation, economic activity will expand at a moderate pace, with labor market indicators continuing to move toward levels the Committee judges consistent with its dual mandate. The Committee anticipated Inflation to remain near its recent low level in the near term but the Committee expects inflation to rise gradually toward 2 percent over the medium term as the labor market improves further and the transitory effects of declines in energy and import prices dissipate. The Committee currently anticipates that, even after employment and inflation are near mandate-consistent levels, economic conditions may, for some time, warrant keeping the target federal funds rate below levels the Committee views as normal in the longer run. SPARK MINDA, ASHOK MINDA GROUP PROVIDES EMPLOYABILITY AND LIVELIHOOD TO THE PRISONERS IN YERWADA JAIL, PUNE. Pune: Spark Minda, Ashok Minda Group in their continuous social upliftment programs has now started a new facility at Yerwada Jail, Pune to manufacture Wire Harness within the premises of Jail Authority for its esteemed Customer, Mahindra & Mahindra Ltd. This Public – Private Partnership project is a collaborative project between Minda SAI Ltd, Yerwada Central Prison Authority and Mahindra & Mahindra ltd.
Minda SAI Ltd is the Business Group Company and 100% subsidiary of Minda Corporation Limited, the flagship company of Spark Minda, Ashok Minda Group. Minda SAI Ltd. is a leading manufacturer of broad range of Wiring Harnesses, Battery Cables, Wiring Sets, connectors & terminals and Interior Plastic Components. The Company supplies to each vertical of the automotive world and Off-Road Vehicles. The project kick started in February 2015, in which Minda SAI Ltd set up a manufacturing assembly and a production unit for the inmates at YCP. The Company has engaged around 30 inmates as of now and will be increasing the number in future. The YCP management has whole-heartedly supported Spark Minda, Ashok Minda Group for this socio-business initiative and has provided them an infrastructure on lease in the premises along with other facilities as per norms. Spark Minda, Ashok Minda Group investment at Yerwada Jail includes machinery, raw material and other quality systems and procedures as per the policy and the facility is being run by Jail convicts under the supervision of Minda SAI officials. In this manufacturing unit, Wire Harness product, a key automotive component, will be manufactured by the Jail convicts and will be supplied to our Key Customer M&M. An MOU was signed between Yerwada Jail and Minda SAI on Feb 07, 2015 and production commenced in last week of Feb’15. Speaking on the occasion Mr. N.K Taneja, Group Chief Marketing Officer, Spark Minda, Ashok Minda Group said “It is imperative that for bringing an effective change in the society, every section that belongs to it is thought and taken care of. We, at Spark Minda, Ashok Minda Group had consciously decided to encourage the change in the inmate’s lives and this is our 3rdinitiative that we set up at Yerwada Jail after Tihar Jail in 2004, New Delhi and Dresden Jail, Germany in 2005. The YCP authorities have been very cooperative and encouraging in providing the necessary approvals for the venture. We are pleased to get this opportunity and we also sincerely thank M&M for their support for this noble cause. We just hope that our small fervor to help these inmates change their outlook towards life and give them a chance to carry further respectably and will render the outcome that we wish for. Also, we have, through this venture, tried to contribute in our way to the Skill Development mission of the government”. The Quality check within the jail authority is also given a very special standpoint; the Company has placed checker board for 100% inspection of the product and Circuit checking and Visual inspection of harness for final inspection before dispatch from YCP unit to M&M. These check points cross check the quality of each and every product in the same way as it is done in the official production unit of the company. Just to keep the quality level of the product excellent, the company also conducts preliminary test and inspection by Doctors for color blindness test, which is must for operators to work in wiring harness manufacturing. This product is then supplied to M&M for further assembling in their Utility vehicles. Minda SAI has two weeks of Induction training program for the new operator; same is implemented for the inmates. All inmates have to go through On Job Training and continual supervision by the Minda SAI representative for 2 months. These training sessions help inmates in recognizing their caliber and then the training certificate is also given by the company, which will help them to acquire job outside the YCP. To ensure the discipline of Jail, the raw material entry and the dispatch of finished product has been kept under the control of Minda SAI for smooth execution of work. To facilitate this entire process, few employees are fully deployed at the Jail; thus smoothing up the complete coordination and assuring Quality process. The Management team also visits this unit on a frequent basis to ensure the system & policy deployment in accordance to the Company’s requirement. Spark Minda, Ashok Minda Group has been involved in Community Development initiatives since decades. The YCP project is the third initiative of the group. They launched a similar project for Tihar Jail inmates for assembling wire harness in April 2014. A very similar project was initiated in 2005 in Dresden Jail by MKTSN Pirna, Germany. The CSR ventures of the Group were started by Late Shri SL Minda under the umbrella of Moga Devi Minda Charitable Trust 1987. Minda Balgram- A child Home for Homeless; SL Minda Seva Kendra- Skill Training Center; Moga Devi Minda Memorial School- A School in village set up and SL Minda Sports Academy are some of the major initiatives under the trust. In continuation to the legacy of a responsible corporate citizenship, the CSR activities being taken at the group are derived from the triple bottom line model of People, Planet and Profit. Ensuring environment sustainability with community care are the thematic divisions, surrounding which the CSR activities are planned and executed across the Group. Education; Vocational Training and Livelihood promotion; Health and Sanitation; Care for differently abled; Environment Sustainability and Women Empowerment are current broader head of intervention across the Group. To implement the CSR projects Minda Corporation Limited has recently established Spark Minda Foundation, which is as section 8 Company and is a CSR wing of the Spark Minda, Ashok Minda Group. New Delhi, Oct 29th 2015: Hockey India, the apex organisation governing field hockey in India, has announced the return of Neil Hawgood, who in his earlier stint has served as the Chief Coach of the Indian Women’s Hockey team. Neil’s return will see the seasoned professional join the Coaching Team of the Indian women’s team as they prepare for the Rio Olympics 2016. Neil contribution towards enhancing the performance and ranking of Indian Women’s Hockey team has been noteworthy, as it was only during his regime where the team won the Hockey World League Round 2 (2013), Silver in the Asian Champions Trophy, bronze medal at Asian Games 2014 and also bagged 5th position at Commonwealth Games 2014. Neil Hawgood, has himself been a famed hockey player representing Australia’s senior team from 1985-1991. It was during this time that Australia won Gold and Bronze Medals in the 1986 and 1990 FIH World Cup’s respectively. He has also represented Australia in the Champions Trophy and in the Seoul Olympics 1988 where Australia finished fourth. He in his other assignments has represented the Australian Institute of Sport and various local field hockey clubs from Queensland and Brisbane. He embarked on his coaching career from 1993 where his most notable assignments have been as the Assistant Coach of the Australian Women’s team, Head Coach of the Malaysian hockey team, and Chief Coach of the Indian Senior and Junior women’s team from 2012-2014. Neil also has been the full time hockey coach for West Australian Institute of Sport, both men’s and women’s program. Indian Women’s Hockey team is positioned at 13th rank. Indian Women’s Hockey team qualifies for Rio Olympics after a long gap of 36 years. The World Science Forum will be the first major international science event since the recent adoption by the United Nations General Assembly of new Sustainable Development Goals for 2015-20130. It will seek to highlight the ability of science to improve human lives and the life of our planet. “The 2030 Agenda for Sustainable Development embodies a new vision for humanity, for the planet, for peace, for the next 15 years – science stands at its heart as a force for positive transformation and a development multiplier,” said the Director-General of UNESCO Irina Bokova in her message for this year’s world Science Day for Peace and Development. Jᮯs der, the President of Hungary, will be among the distinguished roster of some 500participants, scientists, decision-makers, industry leaders and representatives of civil society who will express their views on the new challenges facing science in the 21st century. The Forum is hosted by the Hungarian Academy of Sciences in partnership with UNESCO, the International Council for Science (ICSU), the American Association for the Advancement of Science (AAAS), The World Academy of Science (TWAS) and the European Academies Science Advisory Council (EASAC).